Name Title, Arial / taille 110 School Place of internship Catégory Subject, Garamond/taille 65 Title (Taille 60) Sous-Titre paragraphe (taille 40) Corps. 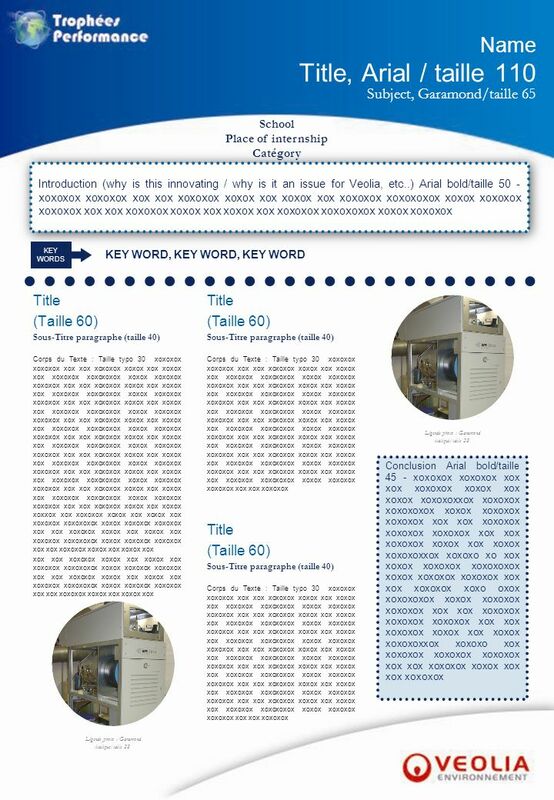 Download ppt "Name Title, Arial / taille 110 School Place of internship Catégory Subject, Garamond/taille 65 Title (Taille 60) Sous-Titre paragraphe (taille 40) Corps." Capti Section Header Arial 24-26 ptSection Header This is dummy text. It should be 18 to 22 pt – and could be Times New Roman or Arial. This is dummy text.